Beverly's Official Blog | News and findings from world of crafts, scrapbooking and more: New Beads from Blue Moon Beads! New Beads from Blue Moon Beads! 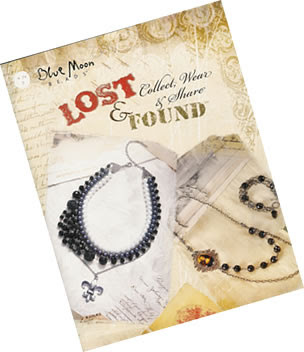 Blue Moon Beads brings us "LOST & FOUND" .... a collection of vintage elements with a distinctly modern edge. The LOST & FOUND collection includes pearls, chains, lockets, cameos and pendants with a look from long ago. Get inspired to create some special pieces - just in time for Mother's Day! National Craft "End of the Month" SALE! !